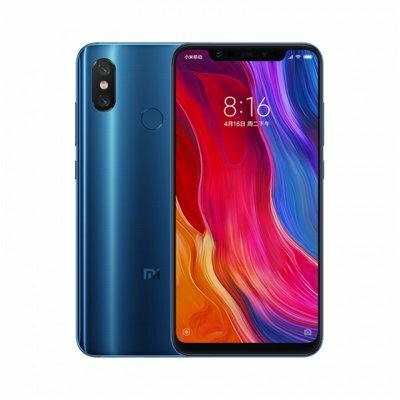 Successfully Added Xiaomi Mi 8 Smartphone - 6.21Inch AMOLED Screen, Octa Core, 6GB RAM, Dual GPS, Fingerprint, NFC (Blue) to your Shopping Cart. The Xiaomi Mi 8 Android phone is China’s latest and Xiaomi 8 anniversary Flagship smartphone. It comes with a Qualcomm Snapdragon 845, dual cameras and dual GPS. The screen is 6.21inch and uses a Samsung AMOLED panel with an 18.7:9 ratio and resolution if Full HD+ 2248x1080 pixels. The dual 12MP camera could make 4K video with 30fps and brings AI features enhancement for over 200scenes. To power all this magnificent hardware, the Xiaomi Mi 8 packs a whopping 3400mAh battery. This cell treats you to an outstanding 12 hours of continuous usage time. Your phone furthermore supports 4G and Dual-Band WiFi for ultimate connectivity no matter where you are. The Xiaomi Mi 8 Android Phone comes with a 12 months warranty, brought to you by the leader in electronic devices as well as wholesale smartphones..